Update: AMEX coverage for Israel is now in effect! Don’t forget to ask for a letter of coverage from your credit card to provide to the rental car agency. Currently AMEX cards exclude car rental CDW insurance in Australia, Ireland, Israel, Italy, Jamaica, and New Zealand. Effective on 9/1, only Australia, Italy, and New Zealand will be excluded from coverage. CDW coverage covers damage to your rental car. Of course in Israel you are also required to take out liability insurance, but having a credit card from Chase, or from AMEX starting in September, will save you from paying for CDW insurance. Be sure to ask for a letter of coverage before traveling to Israel to provide to the rental car agency. As always when renting in Israel, you should take detailed pictures of scratches on your rental car before and after your rental. And be sure that the agent signs off on every scratch. 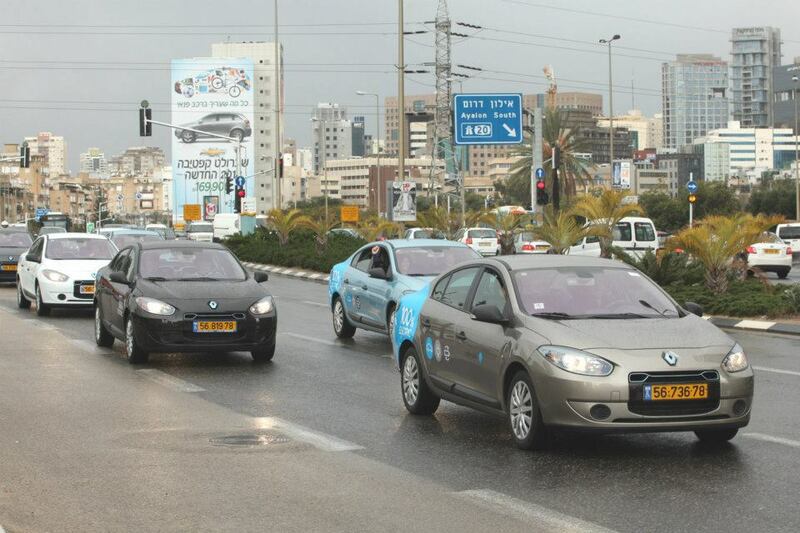 Israeli car rental agencies are notorious for charging over and over again for the same scratch. Even if you buy the CDW from the car rental agency you’ll still have to pay for the scratch as they have a high deductible on their own CDW coverage. Be sure to decline the car rental agency’s CDW coverage and you’ll have zero deductible from your credit card. If you do not decline the car rental’s CDW coverage then your credit card will not cover your rental. AMEX only provides secondary coverage unless you pay for a premium car rental plan for $19.95/rental. However in general your personal auto insurance won’t cover you when abroad, so the credit card insurance will effectively provide primary coverage outside of the US. 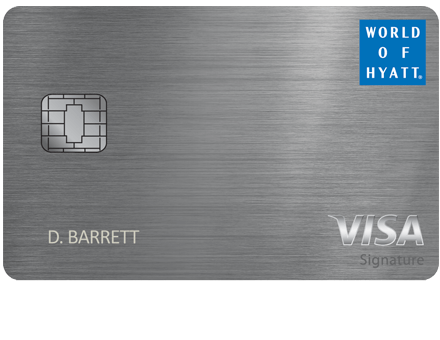 In general the best card for car rentals is the Chase Sapphire Reserve. 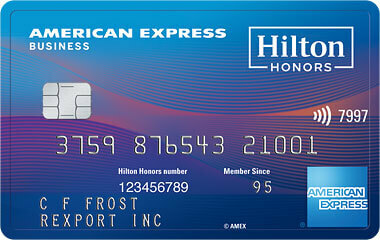 That card earns triple points for car rentals and has primary coverage worldwide. Chase Sapphire Preferred offers double points for car rentals and has primary coverage worldwide. But AMEX protections typically have less red tape than protections from other banks, so adding coverage for car rentals in Israel is a nice benefit addition. 57 Comments On "AMEX Will Cover Car Rental CDW Coverage In Israel Effective In September"
Dan, I am happy your covering Israel, however would it be possible for you to make a summery of what insurances to get and what not (covered be cc or company etc) in your opinion when renting cars. That would be great. Thanks. Fantastic! What do you recommend for good rates on car rentals? Anything specific? How can they force you to buy liability insurance? If you have your own liability insurance then you just need the CDW from your credit card. Otherwise, you should buy liability as well. In Israel, agencies like YeRent and Noach who advertise here seem to have the best rates. Dan, does the Chase Saphire offer ptimary CDW, justlike the United club card? Yes, Sapphire Preferred and Sapphire Reserve are both primary. Why is amex excluding those countries? Dan, what’s the difference between primary insurance and secondary insurance. Probably a higher than normal rate of claims. Secondary insurance won’t cover you if you have other car insurance that will cover you. So if you rent a car in the US and own a car, you would need a credit card with primary coverage to take advantage of credit card insurance. Otherwise you’ll have to file a claim with your own car insurance. best news ive heard in a while. thanks! This has been working since 1986, for me………. @Dan: Dan be sure to remind readers that priceline and costco and I believe all third party sites do not include mandatory liability insurance fees in their price quote which hikes up the prices quite a bit to the dismay of many arriving tourists in Israel. I was even told that the car rental agencies take advantage of this by charging variable rates on this liability insurance fee!! As someone who regularly spend lots on one of their categories that gets 2 points per dollar, I find TY points to work just fine to transfer to Singapore and use on United to TLV. I am traveling to Israel in August, I plan on renting a car, I currently have the chase sapphire reserve card, however I am under 24. I am new to this whole thing, so just wondering the best possible way to rent at lowest price. Will I still be able to decline the insurance at desk in israel? Don’t know exact difference between the different insurances offered. How do you determine the cost of the TPL prior to getting tot he counter? Does the chase reserve also cover Liability insurance In Israel? When I was there in July. I rented from Budget, who let me decline CDW coverage and only take liability, but required a $1500 deposit. Is this with all carriers, if you decline CDW coverage? Regarding start of rental photos: be especially careful when renting from some of those places on King David St., you pick up your car from a dark parking garage in the basement of the building, hard to see what the body looks like til you drive out and into the light. Just check with chase if your car make and model is covered. I had an accident in Israel. My fault. No one was hurt. 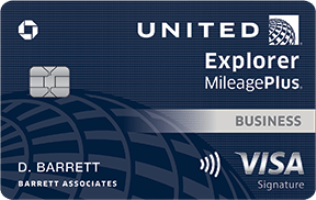 Used my Mileage Plus Explorer card, and they covered everything. Paper work was on line and fairly minimal. Only issue is that I had to call them to tell them that there was no police report, as they don’t routinely come to non-injury accidents in Israel. I will rent a car in Israel and have the AA Citi Platinum or Amex Preferred, on witch one I will have the best coverage ? I rented in Israel and didn’t find this “notorious” behavior. What’s better to use? dDelta gold Amex or chase CSR? They claim TPI not covered by US cc, is that correct? just wanted to ask with amex cards have this coverage? Hi; I have the Amex insurance and pay 24.95 is it necessary or the 19.95 i sufficient? Also I once had damage and Chase (Business Ink card) made such problems and had deductibles, with Amex all I had to do was fill out a form (the rental company did it) and never heard from them again. What are good companies to rent a car from in Israel? This is my first time renting over seas, don’t know Hebrew is that going to be a problem? I see rental prices through Expedia/Orbitz very cheap or I should order when I arrive in Israel? Don’t need to know Hebrew. Orbitz/Expedia don’t include the mandatory fees. Thank you Dan for your answer. just wanted to know if I book with Expedia will I have higher mandatory fees rather than booking with Rehev or Noah, what you think? From my experience Expedia/Orbitz winds up costing much more than those guys. well I just got an amex card and in the benefits it still saying that it excl. Israel. Not in the new benefits. Feel free to call to confirm. is that only with American Express Platinum Cards? I’m an authorized user of an Amex SPG business card. Can i use the card to book a rental and get the CDW coverage for myself for an israel car rental? Oct 1: Amex website still excludes Israel for Delta Gold and Simply Cash – Business cards. i am 23 yrs old…will i have to pay for underage? Even though the Amex website hasn’t been updated, Customer Service says israel is now covered and they will provide a letter you can show the rental company. The only exclusions now are for Australia, Italy, and New Zealand, and any country sanctioned by the Office of Foreign Assets Control. I have the Chase Sapphire Reserve card, and I booked a car rental in Tel Aviv through the Enterprise website. For 10 days it was only $121, which I thought was a steal. I just got an email from Eldan Transportation, which is Enterprise’s franchisee in Israel that I would have to pay an extra $205.63 for ‘Liability Damage Waiver (Mandatory Coverage)’ and $51.41 for Collision Damage Waiver (Optional Coverage*). I have a letter from Chase confirming that they cover me for primary coverage up to 75k, including in Israel. Is there any way to get out of paying the exorbitant LDW fee? It’s nearly 2x the cost of the car rental. If not, I guess that I’ll have to bite the bullet, but my steal of a deal goes away. 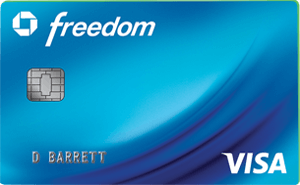 I called chase, and my Chase Freedom Visa card also provides coverage in Israel (they sent me a letter). 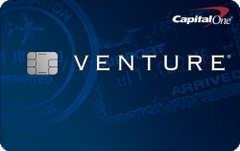 And I called capital one who transferred me to MC, and I got a letter of coverage for my Quicksilver (world elite) MasterCard — but only after registering my travel dates with the claims department. (the first MC representative I spoke to said point blank that not covered in Israel, which was not what capital one told me, so I hung up and called back, and the 2nd MC rep was smart enough to transfer me to claims dept). I just tried renting in sixt in israel. They said they can not wave the CDW cost with chase “they dont deal with chase” they said i would have to use my Amex to take off CDW. Is this true? Dan I have a question. When I was in Tel Aviv last week I rented a car from Europcar at the airport. I booked it online and when I picked it up at the airport they asked if I’d like to have full coverage for it for an additional $25 a day. I said yes, They then put a $800 hold on my CC that day and another $500 hold on my cc the day after. Unfortunately on my first night there was a storm and I couldn’t see the traffic lights and a car ended up hitting my car and both cars were considered a total loss, and luckily both me and the other driver were not seriously injured. The very next morning I filed an accident report and extremely terrified and stressed of what will happen from all this, the front desk clerks told me that since I had full coverage then 99% I should not worry and I should be covered because it was an accident. They told me they would call me within two days about everything and if they were going to charge me anything they would let me know. It’s been a week now since I heard form them and have been very stressed if something will pop up. The only thing I noticed was the my $800 and $500 CC holds were placed back on my card now. And still now contact from the rental company. My question is if I’m in the clear now. Did my total coverage cover my totaled Rental car and also the other drivers car and his possible hospital expenses? I am having such a hard time sleeping with the stress. Ive tried emailing the company to clarify the situation but no answers have been communicated to me. I’m just curious why my deposits came back after an accident that was possibly my fault which left 2 total loss cars. Does it mean Everything was covered, or is something worse about to bestow on me. Your opinion would mean the world right now, thanks so much for this Resource Dan. is there a way to buy liability insurance from an independent insurer. Avis in Israel is charging $19 a day for liability insurance. Hi i have a spg card and i want to rent a car in israel, getting mixed up with all the wonderfull help and information. what does this card cover and what doesnt it cover? and also, will this work automatically or i have to specifcally ask that they use the insurance that the card offers? Hi.Thanks for the work and info.Does spark business card from Capital One also accept Israel as a primary insurance coverage? I Called AMEX, and they don’t seem to be covering Israel anymore. Has anyone used AMEX recently for CDW coverage?